In August of 1981, despite incredibly grim economic prospects, my wife and I were married. We lived in an upstairs apartment of an old house in an older neighborhood in Kenosha, and although our income was barely enough to cover the rent, it remains probably the happiest year of my life. It was just my wife and I, and we were discovering each other and growing deeper in love every day. The setting was the warm and bright apartment we rarely ventured outside of, and the soundtrack was the album The River, by Bruce Springsteen. "Jackson Cage", "Two Hearts", "Independence Day", "Hungry Heart", Out in the Street", "The River", "Point Blank", "Fade Away", "The Price You Pay", and our favorite, "Drive All Night." If we were home, odds are one of these songs was playing. The River remains my personal all-time favorite album, and the one I've listened to more than any other album over the years. The '80s have become so politically romanticized over the years that people forget that Ronald Reagan's first term was dominated by the inflation and recession that began in the late '70s. Unemployment was high and interest rates were in the stratosphere. It wasn't until 1984 that things started to turn around. At the time, my wife and I were both working part time; she in the mornings for a small accounting firm and me at night, as a computer operator at a credit union. I went to school in the days. Our newlywed bliss was contrasted by our bleak prospects. With home interest rates at about 19%, we knew we couldn't afford to start a family yet, and we were convinced that we'd never be able to own our own home. We eked out a living, thanks largely to cheap rent, and we endured long enough to ride the wave that broke in 1984, when the economy finally turned around, when I got a good job, and in November we purchased the home we still live in today. 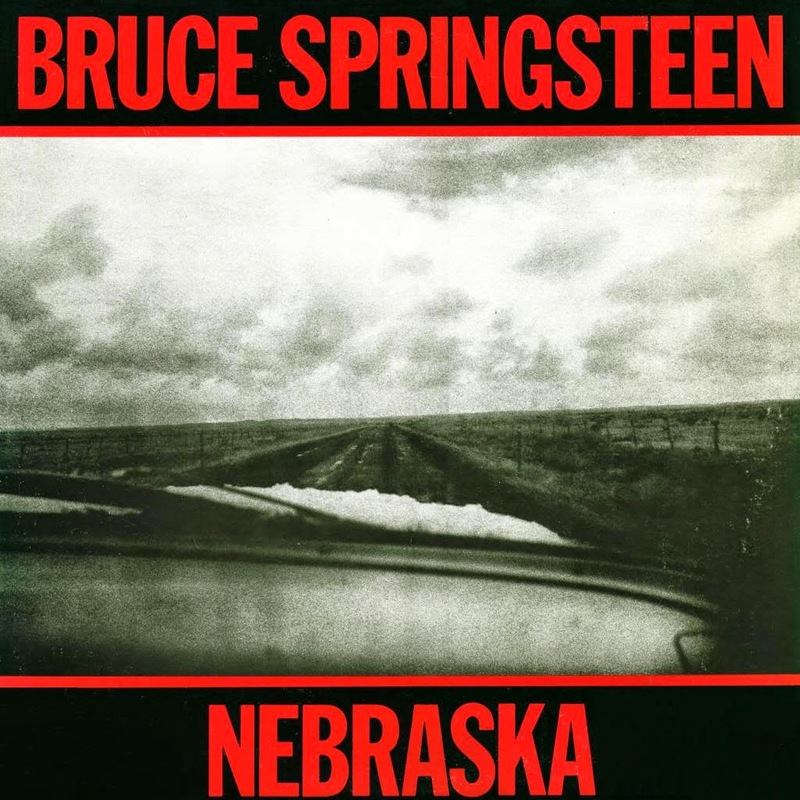 It was a strange cover, a black and white photo of a barren landscape taken through the front windshield of a car, with the words "Bruce Springsteen" in large red capital letters against a black background on top and in the same font, "Nebraska" on the bottom. 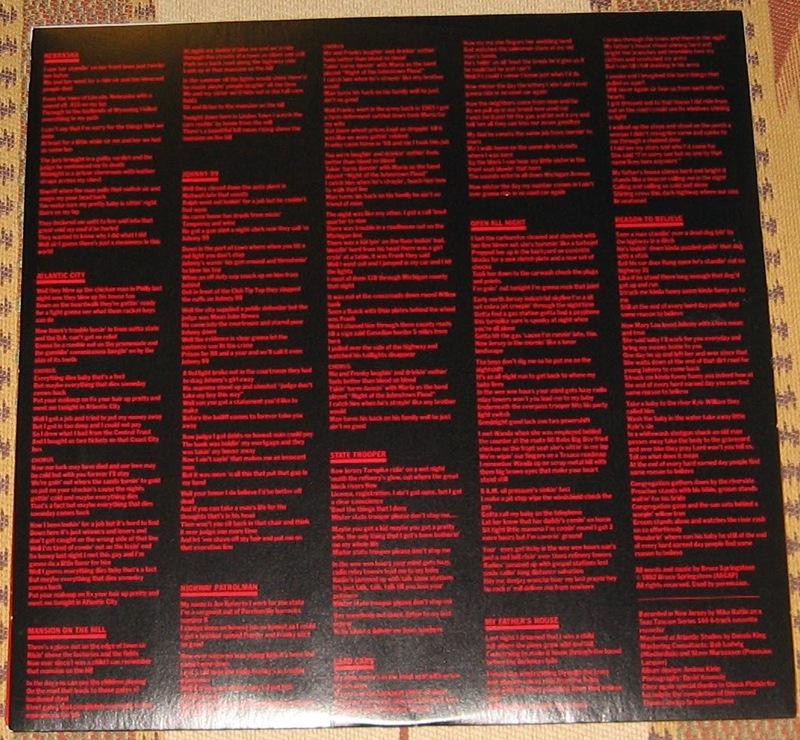 I flipped it over, and the back cover was just as sparse, the names of ten songs in red capital letters plastered across the same bleak black drop. Looking at it in the store, I thought, okay, so he's going minimalist, big deal. Turns out, I'd really have no idea until I got it home and put the vinyl on my turntable. I bought the thing, and, like I used to do with all of the albums (and I mean "albums" - the big vinyl packages music used to come in) I purchased, I sat in my car and unwrapped the cellophane wrapping and looked at what materials were inside. Springsteen albums always contained a sheet of lyrics, so I sat there and started reading. Chicken man? Blowing up his house? WTF? I quickly realized I had to hear these songs; maybe then they'd make some sense. So I got home and put the album on and from the haunting, opening blues harmonica rift at the beginning of the title track to the final chord of the last song, "Reason to Believe", I was absolutely stunned. My first reaction was, where's the E Street Band? The second reaction was, what did I just hear? I still wasn't sure what it was, but I knew it was great, and that I had to hear it again, all the way through. I think that night I played the album probably five or six times, each time picking up something new, appreciating it on a deeper level. Musically, the sound is as minimalist as the album cover implied it would be. It was just Springsteen, most of the time with an acoustic guitar and harmonica. There was something else odd about the album, the way it sounded, the speed, the background noises. I'd learn later that the album was a collection of demos he and an assistant recorded in his bedroom on a simple four track cassette recorder, and that they were originally intended to be fleshed out with the full E Street Band. Bruce and the band went into the studio, but no matter how hard they tried, something was missing, something was lost from the original recording. They soon realized it was the intimacy, the feeling of Springsteen alone in his room recording it and the listener alone in his room, and the contact, the shortening of distance between the artist and the consumer, that couldn't be replicated with the band or the studio. So they released the demos, remastering them from a beat up cassette tape that Springsteen had been carrying around in his pocket. Contributing to the intimacy of the record was the songwriting, which was unlike anything Springsteen had done before. He was turning inward, affected by the depression he was suffering from and questioning the validity of the dreams of super stardom that he'd always held, now that they were within his reach, now that they were attainable. He was also examining his relationship with his audience, the blue collar working class he came from, and what they were going through. Nebraska is the among the rawest and most personal albums ever recorded, right up there with Bob Dylan's Blood on the Tracks, Bon Iver's For Emma, Forever Ago and Springsteen's own, later Tunnel of Love. The first couple of listens, on songs like "Johnny 99", I thought he was singing about the plight of the working class in the messed up economy we were living in at the time, that theses songs were an extension of the characters in the song "The River." This may have been true to some extent, but I quickly realized there was more to it than that. "Nebraska"--Springsteen's telling of the Charles Starkweather killing spree through the Midwest in the 1950s. Springsteen had been reading a lot of Flannery O'Connor and he responded to her Catholicism, the naming of sin. well, sir, I guess there's just a meanness in the world. "If He (Jesus) did what He said, then it's nothing for you to do but to throw everything away and follow Him, and if He didn't, then it's nothing for you to do but enjoy the few minutes you got left the best way you can--by killing somebody or burning down his house or doing some other meanness to him. No pleasure but meanness," he said, and his voice had become almost a snarl. In both "Nebraska" and "A Good Man is Hard to Find", the murderer has fallen from grace, and finds "pleasure" and "fun" and meaning only in "meanness." backing vocals and the strange grunts and moans that accompany his voice. "Atlantic City" is one of the few songs on the album that is an instant classic. Unlike many of the other songs that grow on you in their subtlety, "Atlantic City" is recognizable as spooky and haunting and undeniably great the first time you hear it. 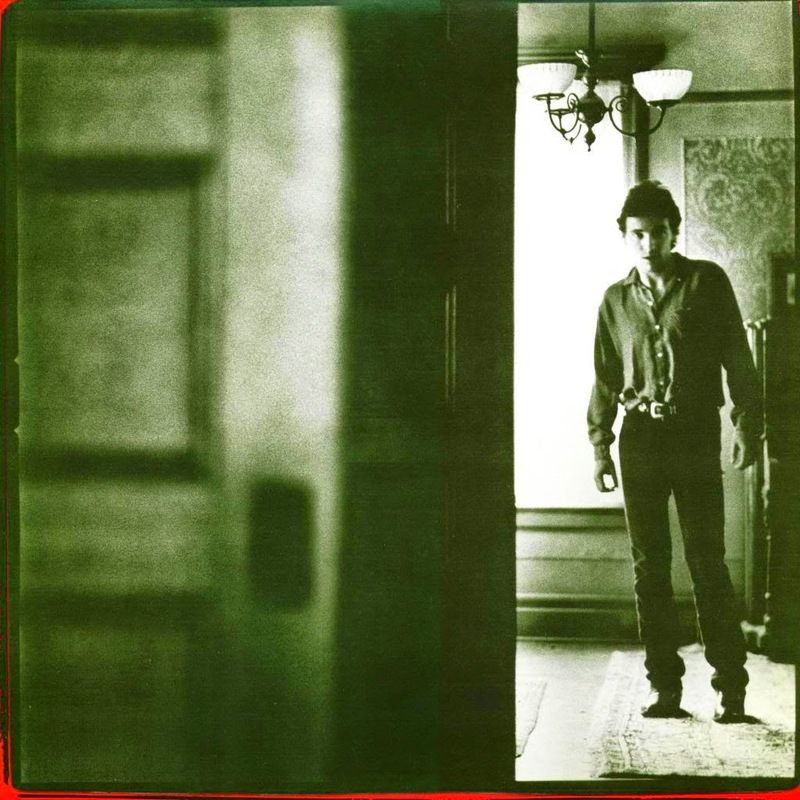 The next song, "Mansion on the Hill", is one of several songs on the album that are directly about Springsteen's childhood. Born in the poor part of a small New Jersey town, Springsteen's childhood was bizarre and difficult, dominated by his explosive father, who suffered from a severe bipolar personality disorder and was unable to hold a steady job. By the time he was writing the songs on Nebraska, Springsteen was on the verge of super stardom yet suffering from depression. Dominated by memories of his childhood, he found himself night after night driving to houses he grew up in, and sitting outside parked on the curb. Mansion on the Hill describes the isolation he felt growing up, and the knowledge of his family's economic class. To me, this verse always felt a little lonely, like he's still isolated. He watches the cars rushing home from the mill, but he's not one of them. I've always wondered, is he now inside the mansion? I think this verse is at the core of what drove the creation of the album: with Born to Run and The River, he'd achieved the success he always dreamed of, and was surprised to find he still felt just as isolated as he always had. It's this internal conflict and his ability to articulate it through music and lyrics in a form we can all understand that makes Nebraska such a powerful experience. till a sign said "Canadian border five miles from here"
as the band plays "Night of the Johnstown Flood"
Joe says goodbye to Frank, and also to his ability to "catch him when he's straying", and the family that he treasured will be forever fractured. Letting Frank escape is a testimony to the love he feels for him (or rather the memories of his little brother), while at the same time he is sacrificing any future relationship the two could have. In order to preserve the warm memories he has of him and Frank, he has to let Frank go. The song is pure heartbreak and testimony to Springsteen's power as a storyteller. His voice almost breaks as he sings the last verse, and it's an honest and emotional moment. Th song is rich in imagery and detail, and it's the closest thing to a happy song on the album. It ends with a variation of the same prayer that closes "State Trooper." The song, just Springsteen and a guitar, has a rhythm and beat to it, and is almost rock and roll; at least the closest thing to a rock song on the album. And although the singer is alone again in the darkness of night, there's still hope. In that respect, it's the most Springsteen-esque song on the album. He awakes from the dream determined to put aside all of their differences and reestablish a relationship with his father. He gets dressed and drives to the house and goes to the door, only to find "a woman I didn't recognize" tell him that his father doesn't live there anymore. Again, his selection and use of detail and images is exquisite. How does he react to seeing such a sight? In the verses that follow, he describes a woman who supports her lover only to have him leave her at the end of a dirt road, where she waits for him to come back. He describes the birth of a boy named "Kyle WIlliam" and in the next moment his death and burial in a "whitewash shotgun shack." Each verse is followed by the "Struck me kind of funny" lyric, and how people find some reason to believe when the bleakness of what he describes would seem to be indicative of no reason to believe. In this verse, the groom is Springsteen himself, jilted by his faith, his Catholicism, his faith in rock and roll, his faith in humanity. On the precipice of super stardom, he finds himself alone and abandoned, haunted by the same darkness he ran to music to escape from. "Reason to Believe" is the summation of the crisis of faith the entire album tried to articulate. By writing and recording Nebraska, Springsteen wrestled with these demons, in the process creating an enduring work of art. The songs can be hard to listen to, and they can take you to your own dark places, but if you're willing to go there, you might find some things you recognize, and in the process, feel a little less alone. This is what great art has always done for me, and Nebraska is art of extraordinary depth and substance.